Appliance Direct, Orlando’s largest independent appliance retailer, filed for Chapter 11 bankruptcy in April of 2011. After 10 months, the case is officially closed and has moved Appliance Direct out of bankruptcy. During that time, not one customer lost a penny or an appliance. 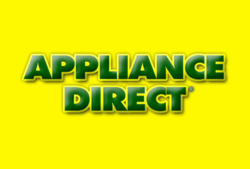 Appliance Direct, Orlando’s largest independent appliance retailer, filed for Chapter 11 bankruptcy in April of 2011. After 10 months of bankruptcy proceedings, the U.S Bankruptcy Court of Orlando entered its finale decree on Feb 15th, 2012, . The case is officially closed, and has moved Appliance Direct out of bankruptcy. Appliance Direct was founded in 1995 by CEO, Sam Pak. The appliance retailer saw significant growth through the late 90's, and into the early 2000's. This successful start catapulted them into becoming the largest appliance retailer in the Orlando market. As a result, Appliance Direct looked to gain regional growth throughout the southeast United States, when they purchased 39 Rex locations. The plan to expand, utilizing heavily burdened Rex stores, failed quickly and lasted only seven months. "We broke our format,” says Mark Salmon, President of Appliance Direct. The cost of opening and closing those stores as well as the retreat that followed, overwhelmed Appliance Direct, and led to the bankruptcy filings. “During that time, not one customer lost a penny or an appliance,” Mark reported. When asked if they will “play it safe” in the future, Sam said "Different yes, safe no. Mark and I didn't come here looking for cushy government jobs.” Appliance Direct will go on marketing their unique brand through fun and informative commercials featuring CEO, Sam Pak. They have created a business model that can sustain itself on very low retail margins. “The lesson we learned is we have to always treat our business as a startup. If it doesn’t grow at the same efficiency as it did in the beginning, then we don’t do it,” said Mark. Appliance Direct has eight locations throughout central Florida and continues to be one of the largest appliance retailers in the country.